On Monday I bought my first legitimate painting from Redd! The real one is apparently Ambassadeurs: Aristide Bruant by Henri de Toulouse-Lautrec. Ooh, an ivory piano. 🙂 This was on sale at Nook’s Wednesday. Gosh, I forgot how pretty these are! Now I can try breeding blue roses! 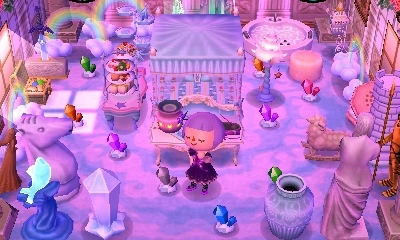 I won’t get my hopes up until I have many more black and purple roses, but I guess I might get lucky. So close to missing Gulliver! He ended up giving me a metroid for collecting his ship parts — not one of my favorites, ah well! Sable’s begun to tell me a bit of her family’s backstory each day, which is always special to hear. 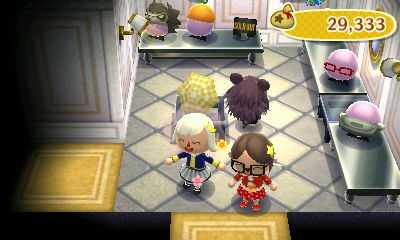 She told me the story of the first clothing item she ever made, so sweet! Still trying out different roof colors… this one’s just labeled as green, but wow, it’s bright! Vesta left Dafdilly last night. 😦 I’ll miss her a bit, especially if I don’t like the neighbor who replaces her, but she isn’t one of my dream neighbors that I want to keep forever, so it makes sense to let her go. I love pink cosmos, they’re so vibrant! I put it in my hair and changed into my petal dress to match. Saharah was in Dafdilly today. All my characters helped her deliver, so I got the lunar horizon, Saharah’s desert, ringside seating, and tropical vista. A pretty good deal if you ask me! I put the cream sofa in my main room because I thought it might look nice with the sweets/fairytale wall. 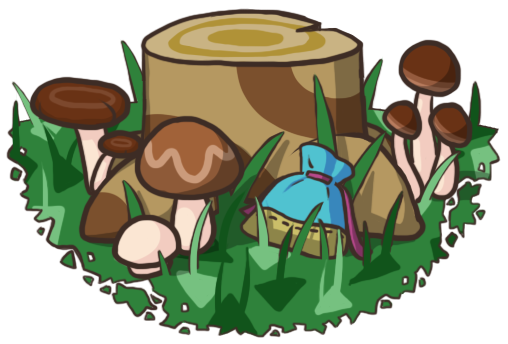 Posted on July 22, 2011 by Amy •	This entry was posted in AC:WW, Dafdilly and tagged Animal Crossing. Bookmark the permalink. I hope you post more 😀 more,more,more,more,more,more,more,more and MORE!